So I hope this is a start of a brand new section to the Halcyon Future Fashion blog! As I've already mentioned, I'm a complete bibliophile and beside my bed lies an ever growing and tottering pile of books. One collection I've been looking at recently expanding is my collection of fashion and style books. As an aspiring fashion editor and dangerous clothes addict, they provide me with role models to aspire to be and images to be inspired by. They're informative, gorgeous to look at and unsurprisingly look damn good on the bookshelf too. So I thought I'd share my current collection with you, especially because I made two new additions yesterday that I'm particularly excited about. 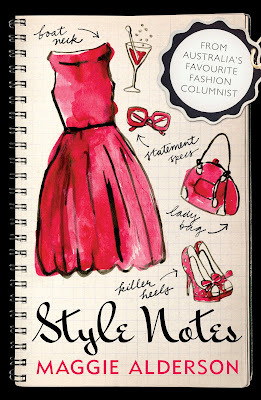 The first is 'The Vogue Factor' by Kirstie Clements, former editor of Vogue Australia. It charts her career from the front desk of Vogue where she worked as a receptionist, to her rise to Editor some 14 years later. I couldn't wait to start reading, so am already devouring through it. The second was a book I hadn't planned on purchasing, but was conned into by a clever marketing scheme. I'm always a sucker for those - the '3 for 2' or 'buy one, get one half price!' signs that lure you in. That said, it ended up being a great bargain and its a beautiful book to add to the shelf so I'm not too heartbroken about the whole thing. It's one of a series of books published by Vogue (common theme today!) called 'Vogue On', with each book a definitive little history and guide to iconic designers. This was actually a gift I bought myself for Christmas (this seems to be a common theme with my fashion books actually.) I absolutely love it and would highly recommend it to anyone who is interested in fashion (or cat lovers). 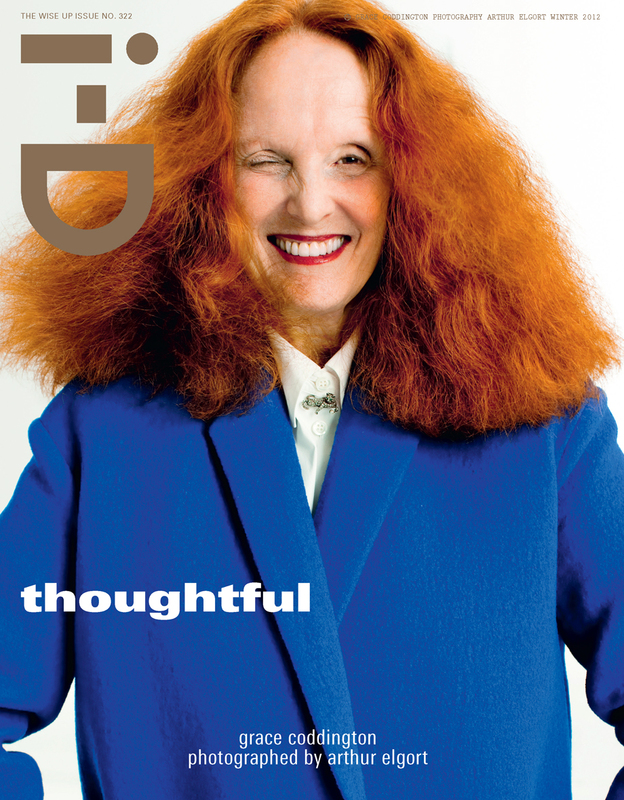 Her personality shines through the pages as she recounts her incredible career - from growing up in the middle of nowhere in Wales, to a promising modelling career, to finally being the huge force she is today at US Vogue. I love the commentary she provides in general about modelling and the changing landscape of the magazine industry and she also draws the cutest illustrations! She was the surprising star of the fashion documentary 'The September Issue' which I would also recommend. 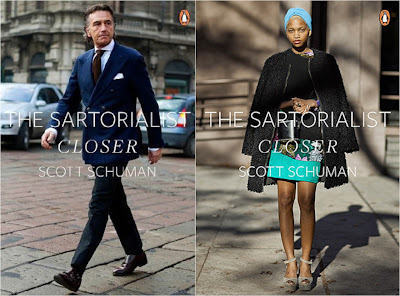 This is the second book from the man behind pioneering street style blog The Sartorialist. I find this particularly inspiring when I'm facing the daily challenge of deciding what to wear. It's filled with pictures of stylish strangers from the streets of London, New York, Paris and Milan. But the main reason I love it is because its not just about fashion - it's focus is on style, which could be the way the subject carries themself or an interesting way they're wearing a particular accessory or colour combination. It's these little things, such as attention to detail and attitude, that really make you stand out from the fashion pack. A collection of Maggie Alderson's columns from The Age. Maggie is a london-born Australian author, magazine editor and fashion journalist. She's edited ES (the Evening Standard magazine), British ELLE, and in Australia Cleo and Mode. I was lucky enough to meet her when she was promoting her latest novel Everything Changes But You last year at the bookshop I used to work at, and she kindly signed a copy for me. 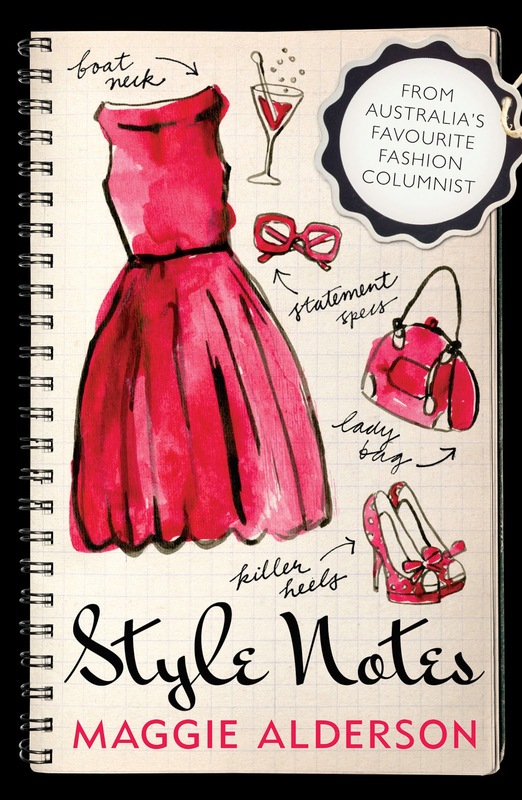 The articles provide interesting commentary on anything and everything related to fashion - always funny, witty and informative. This is a very well-thumbed copy that I picked up for about $10 about five years ago. It's an unauthorised biography of Anna Wintour and follows her from birth to her current position as possibly the most influential and important figure in fashion (and obvious US Vogue Editor). There are detailed accounts of both her personal and professional life and although admittedly - given that it is 'unauthorised' - one cannot verify that it's 100% truth or fact, it's certainly extremely interesting to get a clearer idea of what she is like. I always come back to this book and re-read certain parts, and if you can find it in any bookshops, definitely pick it up! This is one that I bought on sale at my old bookshop, mainly for the beautiful illustrations. 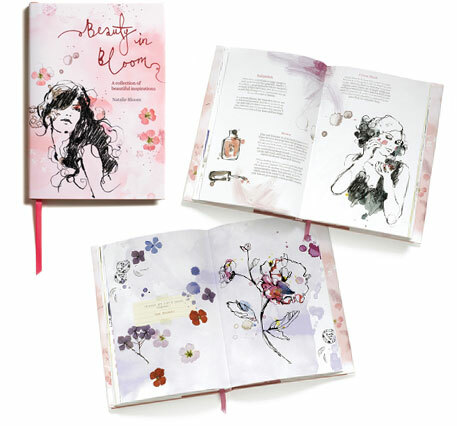 It's written by Natalie Bloom of Bloom Cosmetics and as well as looking absolutely gorgeous, it's also full of some great make-up and (inner) beauty tips, quotes and inspiration. And that, so far, is my fashion bookshelf. Know of any books I should add to the shelf? Let me know in the comments below!